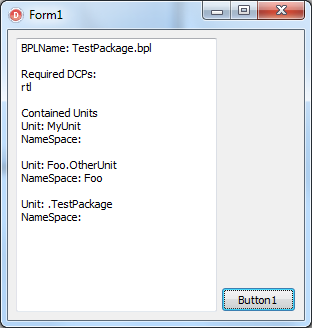 During this Article, I’ll show how to read some very basic information from Delphi’s DCP-Files. This includes name of BPL to link with, required DCPs and contained Units.During the last past weeks, i wrote a Project-Analyzationtool, which is able to completely unwire all Unit-Dependencies and fix searchpathes. However, to do so, i had to work with DCPs, too. Some searching didn’t reveal much (besides the same questions as i had). I know that things might have changed from XE to XE8, but i hope this article is still helpfull to get anybody outside of XE started. Something to note here: The last entry, which is the DPK-Entry seems to have a Header with a length of 61. I just looped with a pattern of 60 Bytes here, that’s why i have an extra character here in front of the last name. You might want to skip that one. I hope this article gets you started on Delphi’s DCP-File. 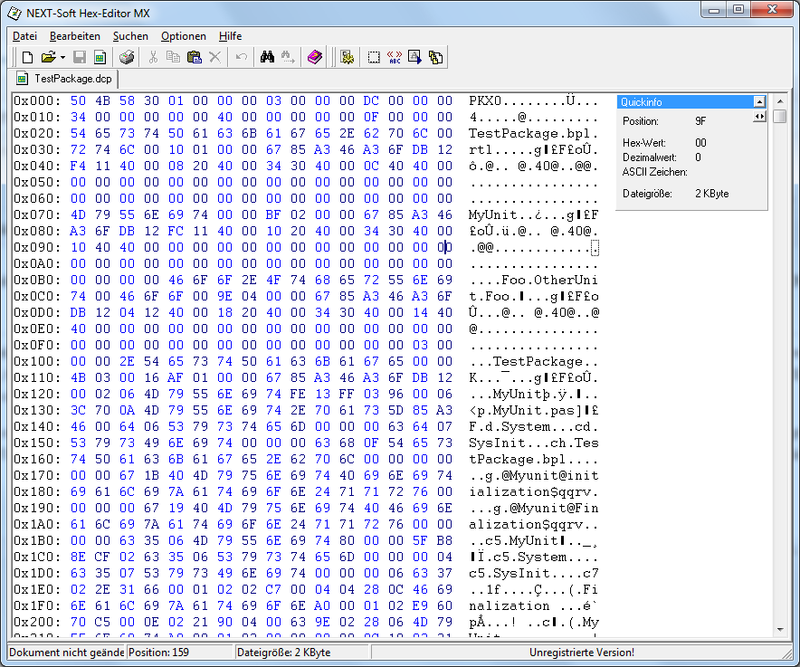 Posted in Delphi and tagged DCP, Delphi, HexEditor, XE. That one baffles me every time I have to look at it.